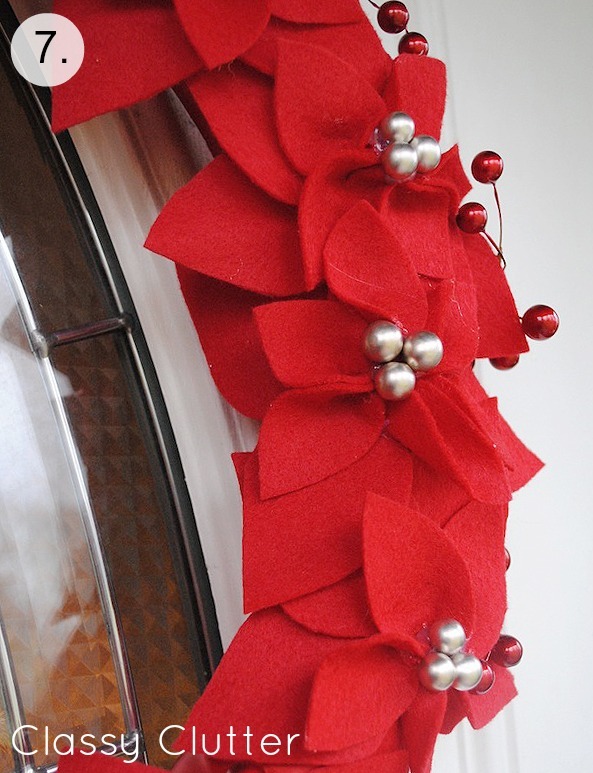 Today, I’m going to share with you a super easy, inexpensive and most importantly CUTE Christmas wreath! 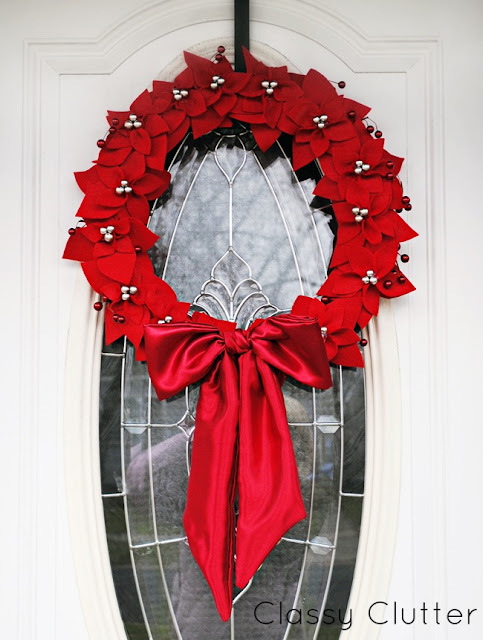 If you don’t have a wreath on your door yet this year, you’ve gotta try this. 1. First, you’ll take your wreath form and wrap it in red ribbon. I used red, satin ribbon. 2. Next, cut out lots and lots of petals! I did two sizes of a tear drop shape with a point on both ends to get the look of the poinsettia petal. 3. Third, layer your larger size petals in the shape of a flower on your wreath form, using hot glue to hold them in place. 4. Next, take your smaller petals and run a thin line of hot glue along the bottom. 5. Pinch your felt petal where you’ve placed your glue to create a 3D look. 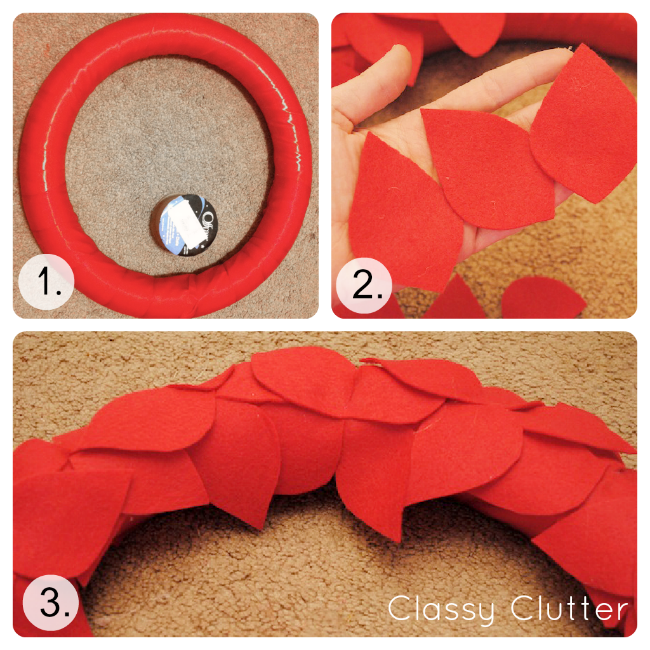 This helps your top layer of the flower really pop off the wreath form. 6. 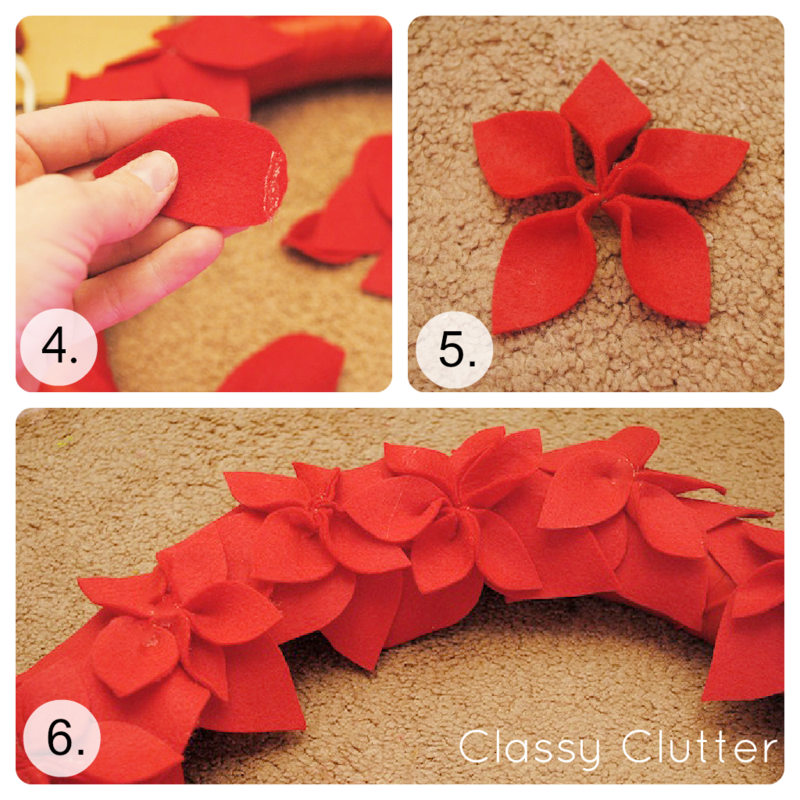 Finally, Glue 5-6 petals in a cluster to create your poinsettia. I did some flowers with 5 petals and some with 6 depending on how full I wanted it to look. 7. Last, take some faux berries, pearls, or beads to embellish the center of each flower. Oh! 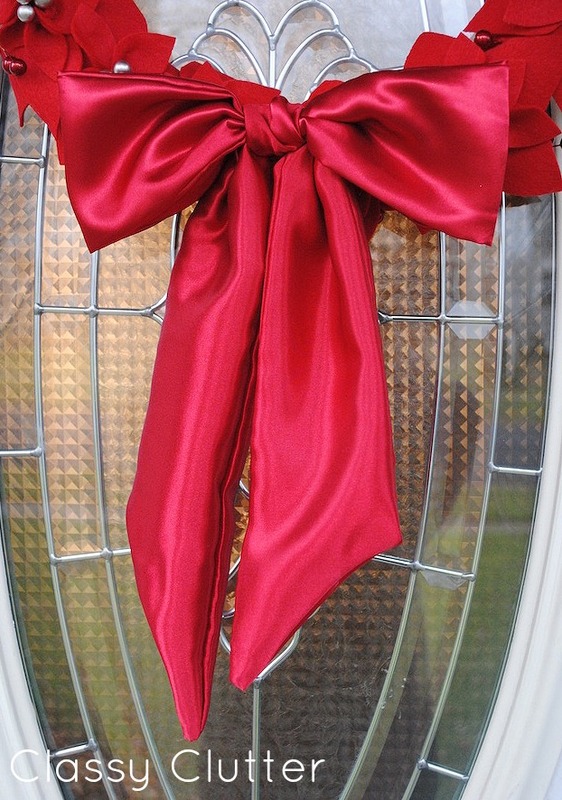 I also decided to add a satin bow to the botton of my wreath. I sewed a long satin sash, tied it in a bow and pinned it to the wreath form. You could also use ribbon or a pre-made bow if you want to add one! I think it would be so pretty to do a contrasting color like white or silver.